Slightly embarrassing confession: I really really wanted to like the Twilight series, and to a certain degree, I did enjoy Twilight. 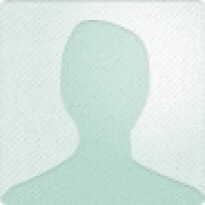 To me, there’s something so intoxicating about stories of first love(s)—definitely add the plural “s” because there’s always a love triangle—juxtaposed with the quotidian drudgery of high school life mixed with extraordinary tales of supernatural creatures. But with Twilight, the writing was so amateur, the plot so nonsensical, the characters so bland, the themes so sexist, that I could not enjoy it as unadulterated teen paranormal romance fluff; I had to maintain my dignity and denounce it. 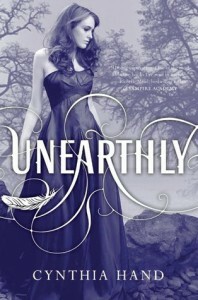 Thus I am so happy to have picked up Unearthly despite the fact that the blurb and cover did not immediately appeal to me, because it has everything I wished Twilight would have had: a gooey romance without abuse, an engaging, mostly logical paranormal mythology, and a likeable, intelligent heroine. Unlike Twilight, Unearthly is remarkably well-plotted. The book begins with Clara, a girl with ¼ part angel blood, receiving her purpose from God. Much of the mythology of the book is based on Christian mythology, so some purposes from God involve being a messenger angel and some involve being a guardian angel. Clara thinks she’s a guardian angel, which, along with her general paranormality, creates a nice gender reversal; in Unearthly, the girl is the supernatural awesome creature and the boys struggle to keep up with her and understand her exceptionality. It is obvious that the author actually spent time outlining her series rather than just winging it since key revelations are slowly divulged and more remains to be discovered in the sequels. Another reason Unearthly succeeds is its pleasant heroine. Clara is amiable, but she’s not a Mary Sue who suffers from a terrible case of too-stupid-to-live-itis. She’s special, because, duh, she’s a quarter-angel, but people call her out when she’s acting stupid. She’s not lionized nor is she a self-insert character for the author or reader. Sure, boys kowtow a bit too readily at her feet, but I was willing to forgive it since her choices didn’t make me roll my eyes incessantly. I genuinely liked reading about Clara’s difficulties adjusting to a new high school and growing into her newfound powers. From time to time, she could be melodramatic, but it faded quickly. I could relate to Clara and cheered for her. If you’re allergic to sugary teen romance that seems to grow into true love in less than a heartbeat, then Unearthly is probably not for you. The love story develops too easily (though, isn’t first love always super easy? the loves that follow are the hard ones) and there are schmaltzy exchanges like this: “But she gave me the perfect gift. "“What?”“You.” Yet sometimes, lovey-dovey exchanges like that are what I want. I couldn’t even bring myself to object to the love triangle because it makes sense in terms of the plot and I was too busy deciding what boy I wanted to be victorious (Team Christian! I think…). Unearthly is certainly a standout in the YA paranormal romance genre, and I can’t wait to see the love triangle, angel mythology, and themes of free will develop throughout the rest of the series.